In this technological era, most contact centers use Hosted IVR, India. There are various hosted IVR solutions are there such as browser-hosted, cloud-hosted etc. Basically, cloud-hosted IVR is the most popular choice for call centers nowadays. Be that as it may, before going to know about Hosted IVR, India, we must look into the IVR technology and its uses. 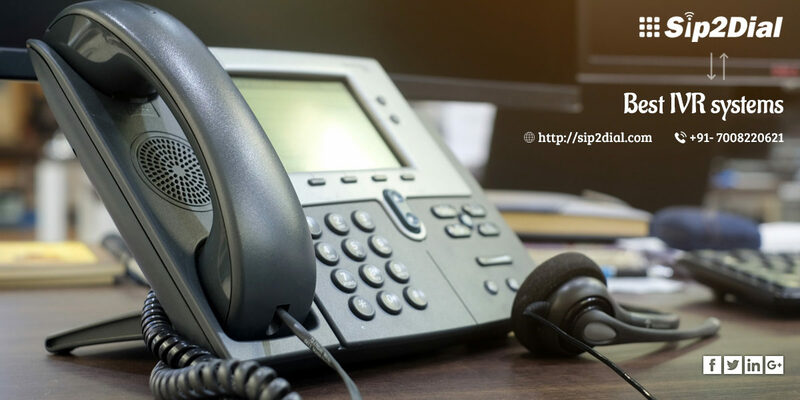 Interactive voice response or IVR service is a service system that enables an organization to communicate with the customers through a programmed voice that instructs callers to solve their quarries. This process consumes less money and reduces the additional risks of false communication. The IVR System allows callers to communicate through the telephone system which is associated with the computer system to get information from the company. This is a proficient approach to the exchange of information that does not require agents to assist. Sip2dial is a leading call center software provider that provides hosted IVR India. sip2dial’s cloud-based IVR system helps organizations in robotizing client associations and business forms. With IVR capabilities, call routing, messaging, feedback collection, analytics, code development, and payment processing capabilities features sip2dial’s cloud-based IVR system helps users set up infrastructure and maintain contact centers. Sip2dial is a renowned call center solution provider for small businesses. It provides budget-friendly hosted IVR India.Sip2dial’s IVR system helps the small businesses in the following ways. Sip2dial’s IVR system is feature packed and allows businesses to do multiple tasks in a single time frame. Sip2dial’s IVR system can collect the information about your customer’s needs and interests in the company’s products. When the callers will follow the instructions from the IVR and will mention their interests or needs. It will help contact centers in improving the quality of their services. Sip2dial’s Interactive voice response (IVR) system will help you during the training program of new agents. The call centers can use pre-recorded voices or messages to let the new aspirants understand the basic rules and regulations of call centers. It will help your call center; get passionate and dedicated agents businesses. Through sip2dial’s IVR system helps the call centers to effortlessly manage high call volumes. Callers will be coordinated with the agent or division according to their requirements or will hold up in a line when all executives are busy. Agents will know the most priority based calls immediately when callers have followed the computer-spoken voice to the specific departments. Sip2dial’s IVR system allows the call centers able to know the exact problem of the callers and assist them according to that. New businesses and small call centers can use sip2dial’s IVRs to create the impression of their organization and how it is bigger than it really is. If you have a couple of individuals in your organization, you can design an IVR prompt that helps callers to communicate with issues, support, advertising or specialized help, and so on. You can assign a particular person to attend all the calls no matter which department your customers choose. You can inspire your client by your organization’s demonstrable skill with IVRs. In this article, we discussed hosted IVR service and its benefits. If you find this article informative don’t forget to give your precious comment.